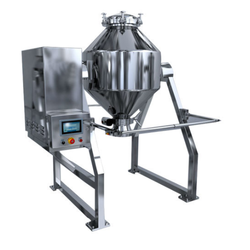 Our range of products include double cone blending machine, double cone blender, lab purpose double cone blender, conical blender and u type blender m.s..
Bestowing on the skills and expertize of our professionals, we have been able to bring forth a comprehensive array of Double Cone Blending Machine. Being a client-centric organization, we fabricated it using ultra-grade raw material sourced from the well-established vendors of the market. Offered product stringently tested by our quality auditors on varied parameters and in different working environments. 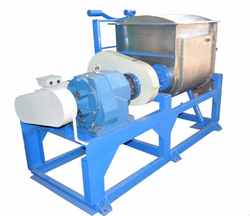 We are one of the leading manufacturers & suppliers of Double Cone Blender. 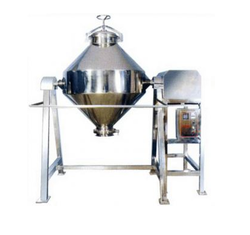 We are one of the leading manufacturers & suppliers of Lab Purpose Double Cone Blender. We are engaged in offering superior quality Conical Blender. The entire range of machines is designed by employing high-tech machines and technology. Before dispatch, these machines are quality tested by our team of quality controllers to come up with an error free range within the stipulated time frame. These are available at industry leading rates. 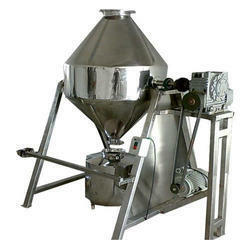 We are offering a wide range of U Type Blender M.S. to our clients. These mixers consist of the U-shaped. Looking for Double Cone Blending Machine ?